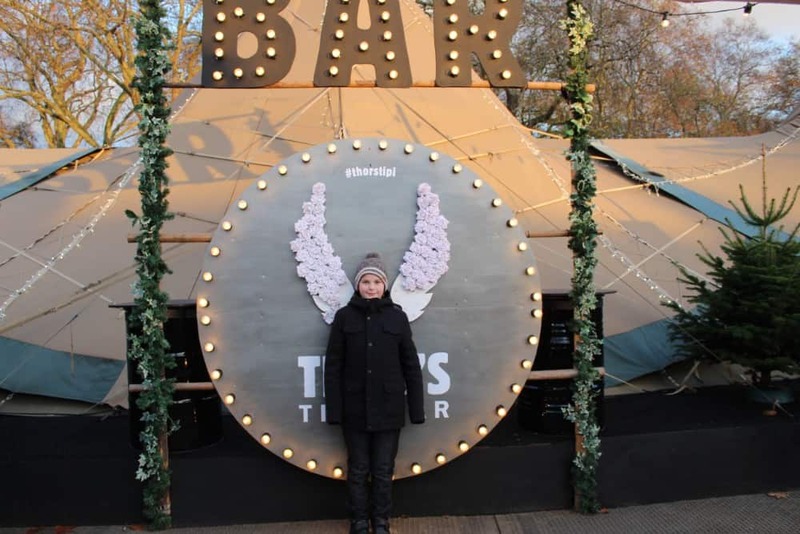 Last week we visited London to review the fabulous New Road Hotel and while we were there we visited Winter Wonderland in Hyde Park for the first time ever. 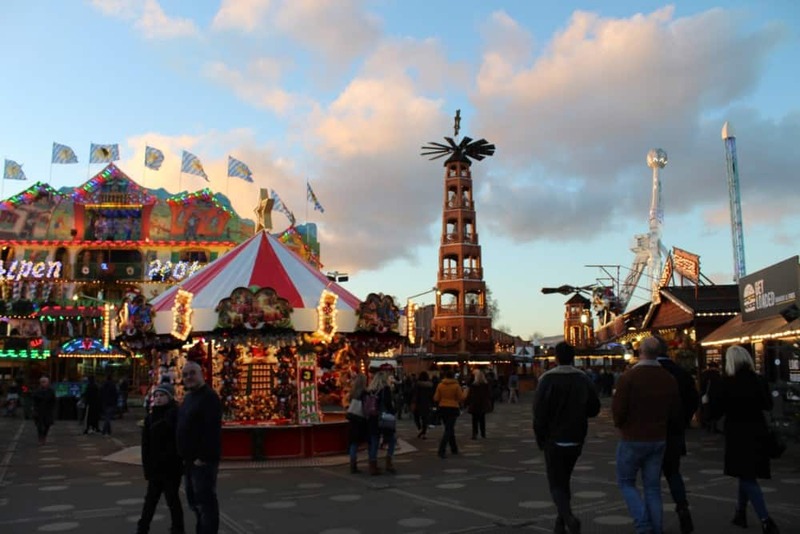 For those of you who don’t know, Winter Wonderland is a huge Christmas themed funfair. 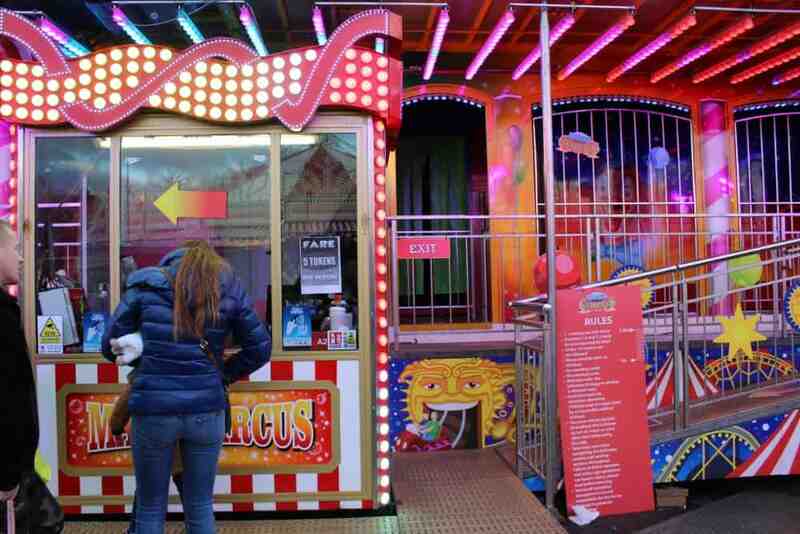 The fair is free to enter, but the rides are quite expensive for our Northern tastes! 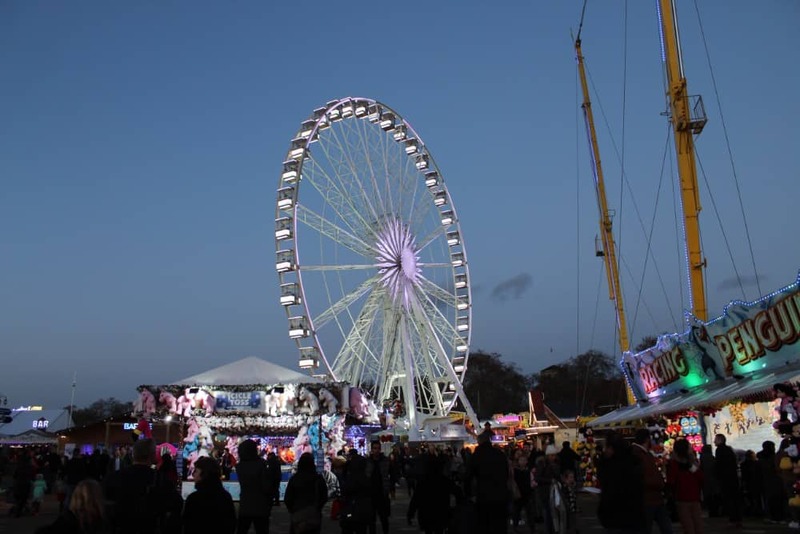 How much are the rides at Winter Wonderland Hyde Park? The children’s rides like this fun house were 4-5 tokens per ride. Tokens were £1 each. The adult rides are between £5 and £9. 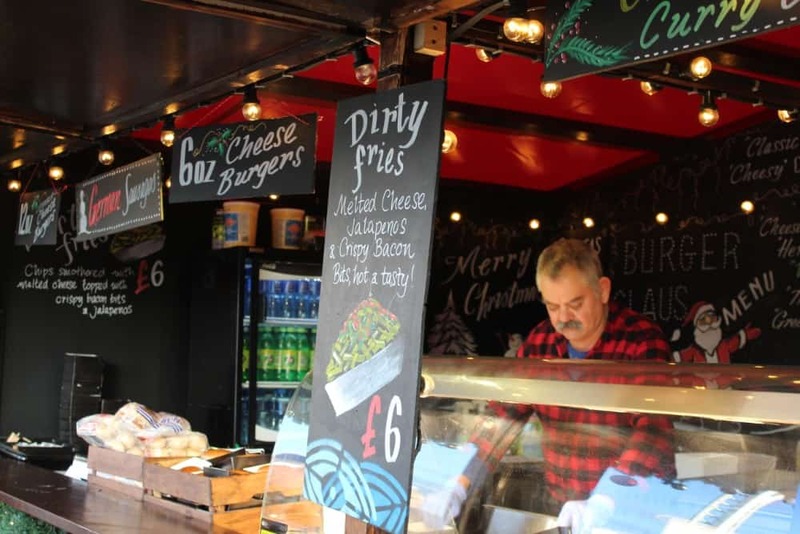 Food is similarly expensive at £5 for cheesy chips (and not really the best). There are lots of shows that look fabulous though like Zippos Christmas Circus, the Winter Wonderland Comedy Club, Ice Skating, an ice and snow sculpture experience, created from over 500 tonnes of beautifully sculptured and crafted ice and snow. You buy tickets for all the different experiences separately. 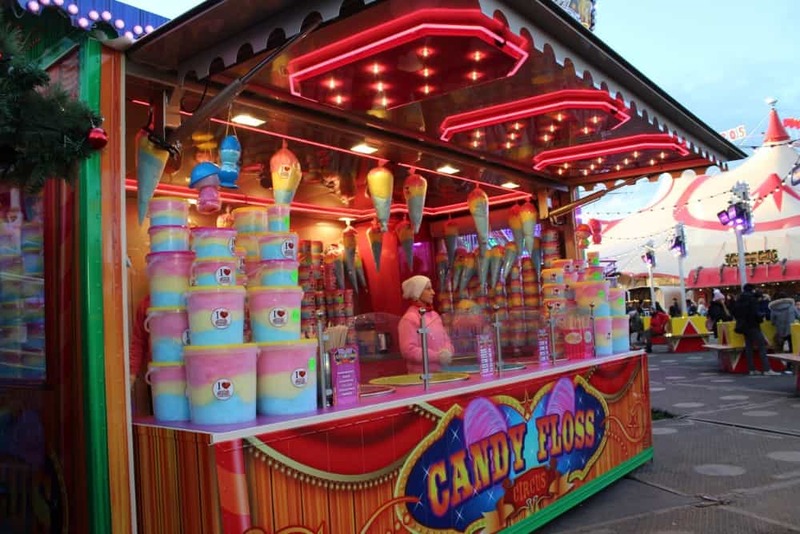 The largest tub of candy floss you can see here was £20. 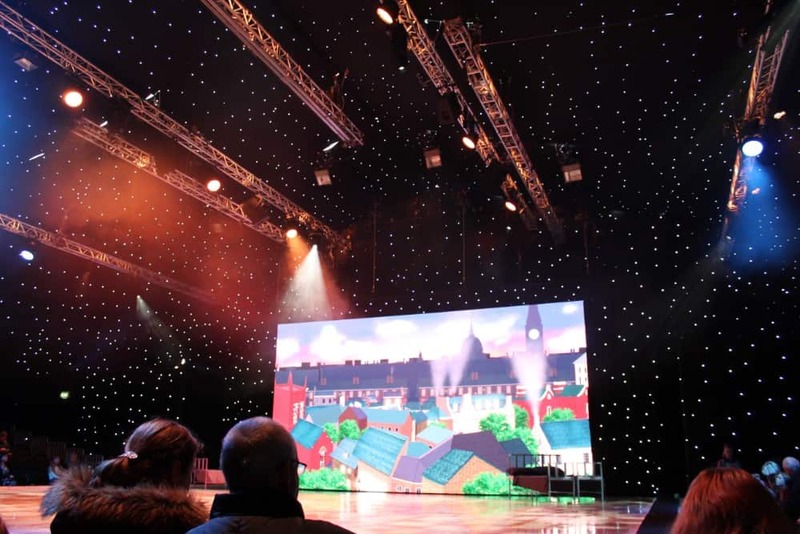 We had the pleasure of seeing Peter Pan on Ice which completely made our visit. We entered a huge circus type tent into a starry night! The audience were sat around three sides of the stage and then the fun began! The play is set to music and tells the story visually rather than verbally. The skaters were fantastically accomplished and the ice dancing was quite beautiful. Master T loved the pirates as they were so funny. Peter and Wendy actually fly in a couple of parts, which was very impressive. The huge screen at the back of the rink was also impressive and helped increase the magical feel to the performance. It was a lovely festive performance to see and really made the visit worthwhile. We popped into Thor’s but didn’t have time to stay, but I can confirm that it is as lovely inside as the York Thor’s. 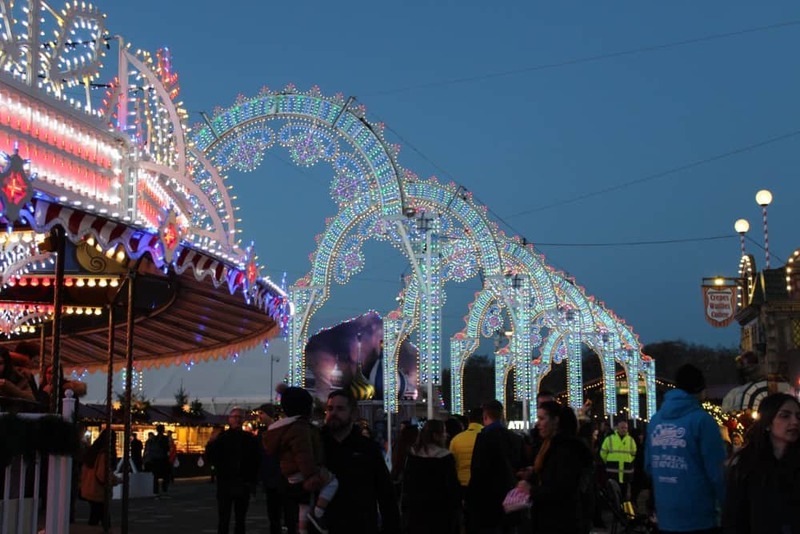 As the sun set over London, you could really appreciate how pretty Winter Wonderland was – it was magnificently lit up and looked very inviting from the outside of Hyde Park. 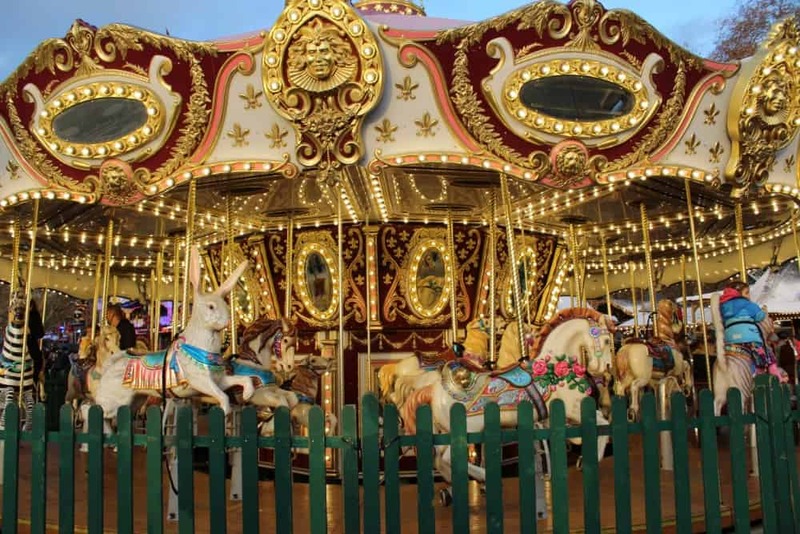 I think to get the best out of your visit, book one of the fabulous shows, like Peter Pan on Ice and then budget for a couple of rides too. For more great London ideas, see this great post on a London Citytrip.